Alex ‘Blackjack’ Redmond was a big rugged defenseman – 6’2, 200 – for Las Vegas in the 2001-7 era. He played on the Las Vegas Mustangs Midget A in 2001-02, then with the AAA Las Vegas Outlaws the following season. When he was signed by the Peninsula Panthers Jr B in the Vancouver Island League Alex wore ‘Blackjack’ across the back of his jersey. He was a big fan favorite. He and Las Vegas goalie Paul Lowden were on a 34-9-1 Panthers team which battled to dethrone a powerful Campbell River Storm team for the regular season championship. That season Alex and the Panthers were 21-1-2 on home ice. On February 1, 2005, Alex was called up for a weekend with the BCHL Victoria Salsa for a 4-game road series. He was returned to Peninsula for a long playoff run. Alex played with ACHA D2 San Jose State which was rated #1 in the West in 2005-06. On Febuary 16, 2007, Alex and San Jose State stunned Denver 6-5 which advanced the Spartans to the U.S. Nationals. At the Nationals Alex blasted in a goal against the Stony Brook Seawolves in Fort Collins, Colorado. That goal tied the game 2-2. Stony Brook scored the next two goals to win the game. The next day San Jose lost to Michigan State 4-1 and was eliminated. In that season Alex had 15 goals, 26 assists for San Jose State. ‘Blackjack’ is now 32. He is retired and out of the game. Michael Cichy of Las Vegas will be reunited with head coach Dennis Canfield this coming season. Michael, 18, will skate for the Wisconsin Muskies who are a new team in the United States Premier Hockey League (USPHL). Cichy, 18, played for Canfield last winter with the NA3HL Atlanta Capitals. He and Vito Carlo were listed as the ‘Vegas Connection’ on that team which went deep into the playoffs. Cichy’s new team is in Spooner, Wisconsin. The team just purchased the Spooner Civic Center. Cichy, who has ultra speed and has an edge to his game, reports to his new team on August 8. He and the Muskies will open the season against the USPHL Wisconsin RapidKings where Cichy played for two seasons. 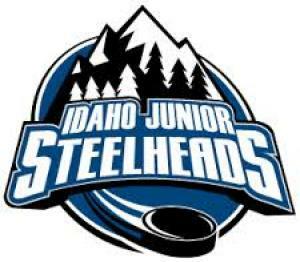 The Idaho Junior Steelheads have changed their name to the Idaho IceCats beginning immediately, Coach John Olver announced. The name change comes at the start of the ninth year of the McCall-based amateur hockey team that has won five championships in the Western States Hockey League under Olver. The IceCats will debut their new name, logo and uniforms in McCall when they host the Lake Tahoe Icemen on Oct. 13 at Manchester Ice and Event Centre. The Junior Steelheads name was selected when the team was formed in 2009 in order to gain association with the professional Idaho Steelheads team in Boise, Olver said. The team played some of its games in Boise for its first two years before moving all of its home games to McCall. The name also conflicted with the Junior Steelheads youth hockey team made up of players age 8 to 18 that compete in the Boise Youth Amateur Hockey Association, he said. There also have been isolated incidents where there was confusion by fans, vendors, etc. when dealing with both organizations. The IceCats name and logo are based on those used by the now-defunct Tacoma Sabercats, which Olver coached to the 1998-99 championship of the then-West Coast Hockey League. The ECHL Quad City Mallards just announced they have signed Kenny Brooks of Las Vegas for the 2017-18 season. Kenny, 25, last winter played for the ECHL Colorado Eagles. The Mallards are an affliate of the NHL Vegas Golden Knights. Las Vegas goal scorer Chris Francis, captain of the Mallards last season, has re-signed with the team as well. WEST KELOWNA, B.C. – The West Kelowna Warriors Junior ‘A’ Hockey Club is pleased to announce that defenseman Jonas Gordon (’96) has committed to the University of Las Vegas Skatin’ Rebels (UNLV) of the American Collegiate Hockey Association (ACHA) for the 2017/18 season. Gordon, 20, is a veteran of 99 career regular season Junior ‘A’ games, finishing his career in West Kelowna with the Warriors. During his time in West-K, Gordon played in 13 games while added one assist and 22 penalty minutes, including an elevated role in playing time in the later part of the season and throughout the playoffs. The Canmore, Alberta native spent the bulk of his Junior ‘A’ tenure with the Canmore Eagles of the Alberta Junior Hockey League (AJHL), playing in 69 games where he amassed 4 goals and 14 points to go along with 134 penalty minutes. The 6’1”, 174-pound rearguard also saw some time with the Trail Smoke Eaters at the beginning of the 2016/17 season, playing in 17 games with 2 assists and 32 penalty minutes. UNLV is a program on the rise in the NCAA ranks, currently playing club hockey in the ACHA but seeking to play Division I hockey in the not-so-distant future. Head coach Anthony Vignieri Greener is entering his first season behind the bench of the Skatin’ Rebels. The Warriors would like to wish Jonas the best with his future endeavors and would like to thank him for his time and contributions to the City of West Kelowna. 2017/18 Warriors season are now available, along with news of the brand-new Booster Club! For more information, head down to the Warriors office or contact Kim or Alex at (250) 769-7051. The Warriors are in need of billet families for the 2017/18 season. For more information on how to become a billet family, contact Nicole Ellis at (250) 878-9110 or email her at nicole@westkelownawarriors.ca. Many Las Vegas hockey teams and players have skated in arctic-like conditions in Fairbanks. Let’s check out the summer weather there today. WHEELING, WV- The Wheeling Nailers, proud ECHL affiliate of the Pittsburgh Penguins, are excited to announce their sixth player signing of the 2017 offseason. Wheeling has signed defenseman Ross McMullan of Las Vegas to an ECHL contract. McMullan, 25, returns for his second professional season, after appearing in 46 games with the Nailers as a rookie. Ross made his debut with the club on October 22nd in Cincinnati, then collected his first career goal and assist in Wheeling’s 4-1 home win against Utah on December 3rd. He went on to register three goals, six assists, nine points, and 42 penalty minutes. McMullan also posted a +4 rating, which was tied for second among Nailers defensemen. Additionally, he netted the winning tally in the team’s lone shootout on October 28th in Kalamazoo. Prior to turning pro, the Las Vegas, Nevada native attended St. Lawrence University, where he majored in Economics and Spanish, while playing for the Saints. During his time in Upstate New York, Ross played in 38 games, notching one goal, three assists, and four points. The goal came during his sophomore season. McMullan played three seasons of junior hockey, spending two years with the EJHL’s Springfield Pics and one campaign with the AJHL’s Camrose Kodiaks. His most productive seasons came in Springfield, when he collected 37 points in 63 games. For his efforts around the Ohio Valley last season, Ross earned the McDonald’s Community Award. His greatest contribution came in March, when teammates shaved his head for the St. Baldrick’s Foundation as part of Nailers Fight Cancer Month. “I can’t wait to rally the troops and get a few more shaved heads come March,” said McMullan. Ross McMullan and the Wheeling Nailers will begin the 2017-18 season with two road games against the Greenville Swamp Rabbits on October 13th and 14th. The home opener at WesBanco Arena takes place on October 21st at 7:05, when the Nailers do battle with the Cincinnati Cyclones. To purchase season, flex, or group tickets, or to get more information on tickets and events, call (304) 234-GOAL.